Doosoun CNI provides the optimization of resource management, the cooperation between the inside and outside of the organization, organization competency strengthening, information sharing, work flow improvement and the optimal method for supporting the activation of the management efficiency by providing the consulting and fashion ERP solution service. ERP is abbreviation of enterprise Resource Planning and is considered company resource management or integrated work management as the means of integrally managing the entire enterprise in the aspect of efficient use of management resources and of increasing the efficiency of management and the enterprise resource management or the integrated work management as the concept of optimally managing the entire resources of the enterprise for the integration of information. As the narrow meaning, ERP means the computer system builds the integrated computer database automatically and efficiently controlling all works like finance, accounting, purchase, production and sales of the enterprise and as the broad meaning, the system for the implementation of rapid and transparent process by integrally managing the entire process, understanding the management status real time and sharing the information. 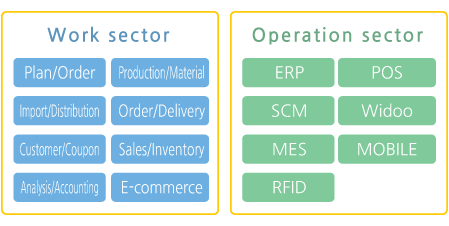 If the entire sectors are integrally managed by all the relevant departments such as production, sales, purchase, inventory, accounting departments sharing necessary information, the cost and risk occurring in each sector is minimized and the effect of continuously improving the accuracy of the system is achieved. In addition, the information allowing the rapid and effective decision making can be obtained by processing the integrated information. Most ERP System are designed and developed by standardizing the process of each sector and modularized to selectively introduce or not to introduce the works of each sector. If there is a difference between introduced ERP System and current work process, the improvement process for the work procedure should have ( Business Process Reengineering ) be done in advance. 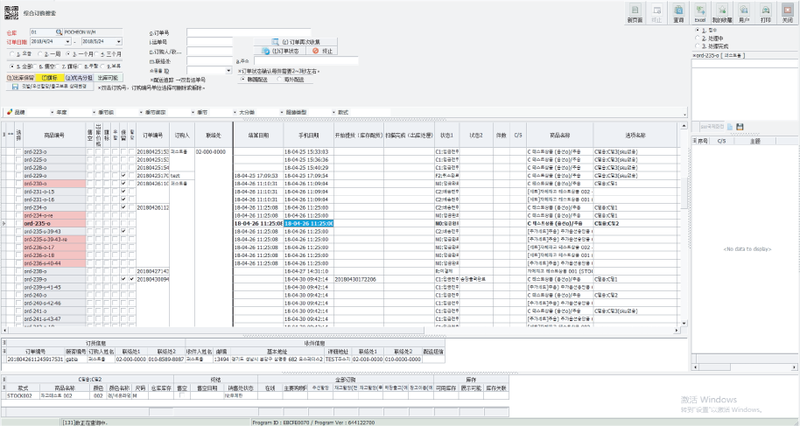 In accordance with the requirement like requiring interface with the currently operating system, the customization of the ERP System should be performed. When introducing ERP System, the detailed consideration for the following items should be done first. In the circumstance of requiring more information generation and sharing due to significant reduction of information creation and consumption, what is the issue of the enterprise? ※ The internal and external issues of the enterprise increase as the society is advanced and specialized. ERP System specialized in the fashion industry provides the innovative management tool integrating from planning to production, sales, distribution, customer support, POS, inventory distribution, link to accounting, online malls, open markets and link to marketing. 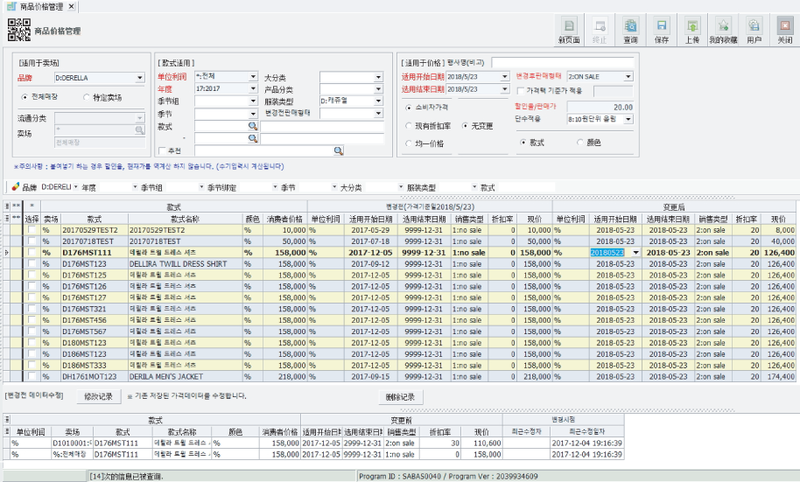 Through the interface with enhanced user convenience, the user can differentiate the unit program to fit the characteristics of individual’s duty. It is easy to manage the user by managing the user group and program authority management. 1. Display upper major category Menu for work flow. 2. 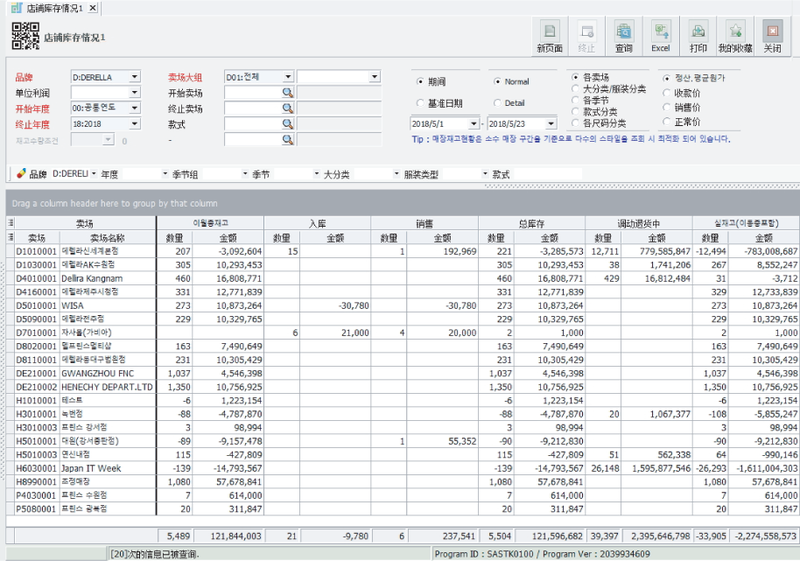 Each screen allows bookmark, Excel Up/Download, current screen saving, etc. 3. Grouping like Excel pivot. 4. Search with common search condition without selecting the separate search condition. 5. Grouping like Excel pivot. 6. 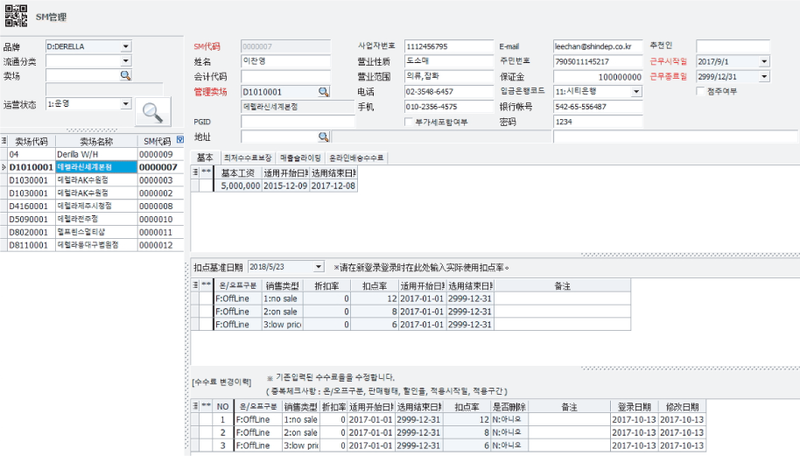 User information and frequent work using ERP System can be found by click on the bottom button. 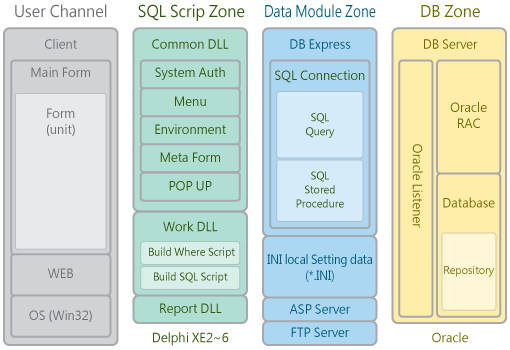 The main configuration is based on Delphi and Oracle DBMS and applies ASP if necessary. 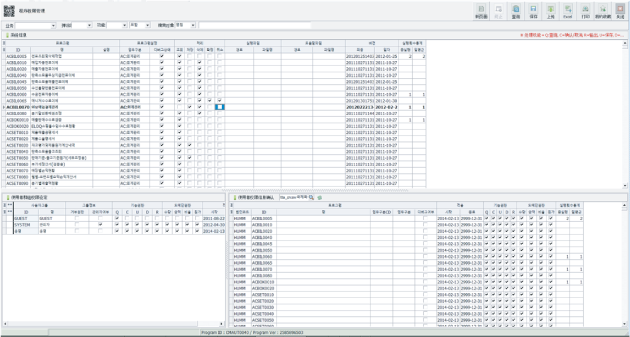 ※ The number of functions of unit program does not include EIS, SCM, etc. 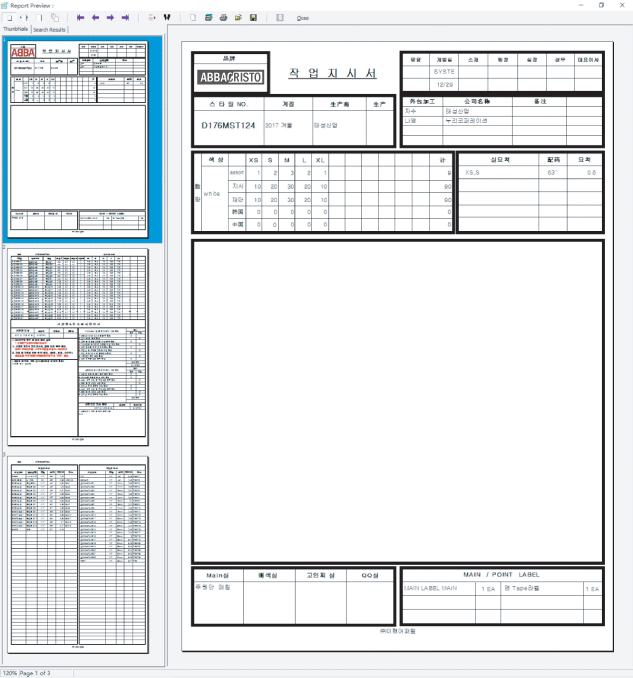 Distribution management Goods receipt, goods issue, inventory, repair, consumables management, etc. inventory analysis, RATIO analysis, etc. 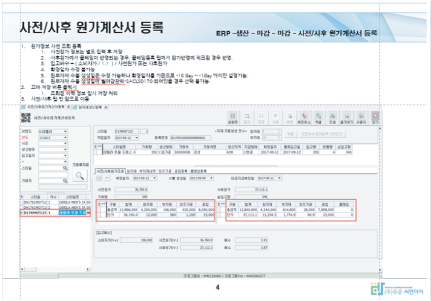 Multilingual process is available for Korean, Chinese, Japanese and English. 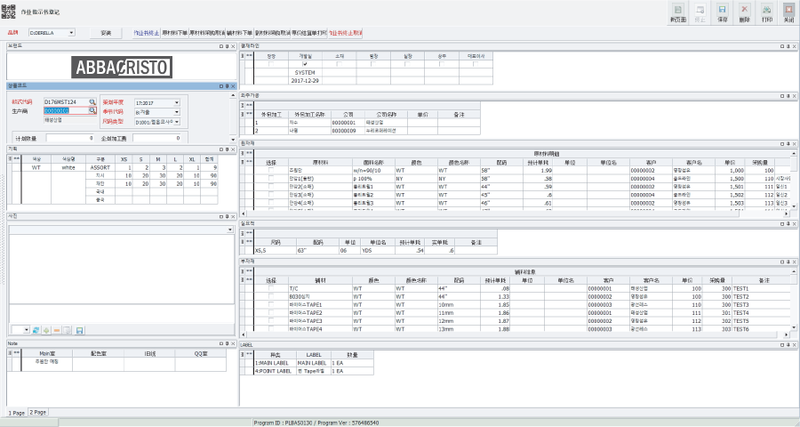 If set for each user, the language is displayed for each user in the same program. You can rapidly share any question in program use via 1:1 inquiry. You can easily learn the definition and user direction of each program with text/image/video via FAQ. The remote support to PC, smartphone and all the mobile devices via TEAM VIEWER. 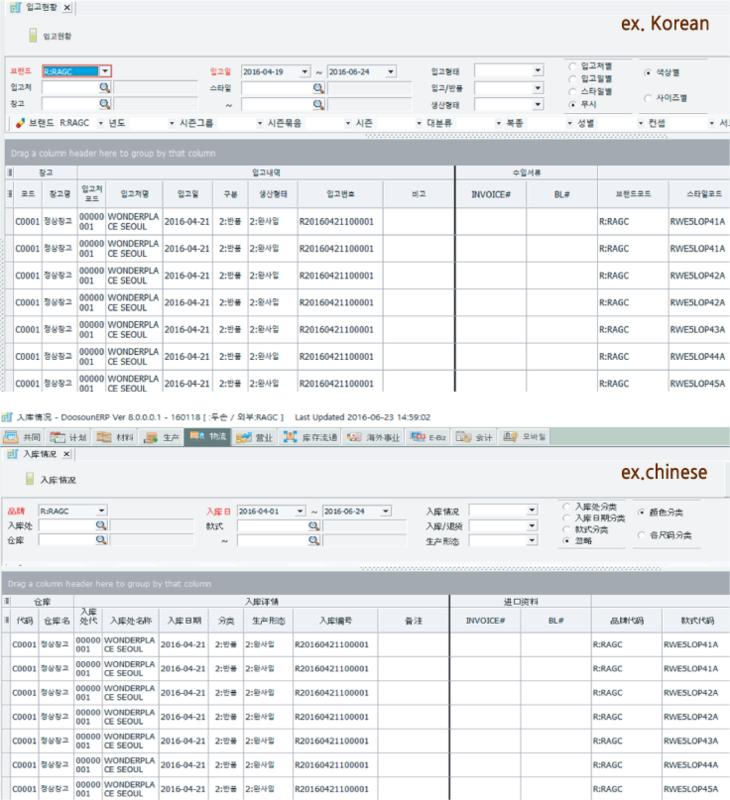 with the ERP system specialized in the industry and the schedule can be shortened as well. → The risk not derived can be removed by shortening the schedule and the input cost can be minimized. Use only the stably built solution! are provided for every time completed. result as much as possible and start development after sharing sufficiently with the actual user. a manual for the additionally developed work. Register and manage the user for operating program. 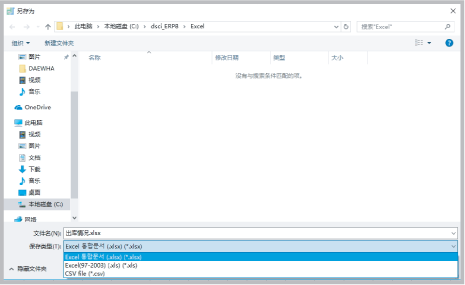 Manage the languages for each user ID. Manage the operable brand for each user ID. Manage the accessible computer of user ID. you can modify and register the received date before the registered days. Check the final access information and the latest version of program for each user ID. 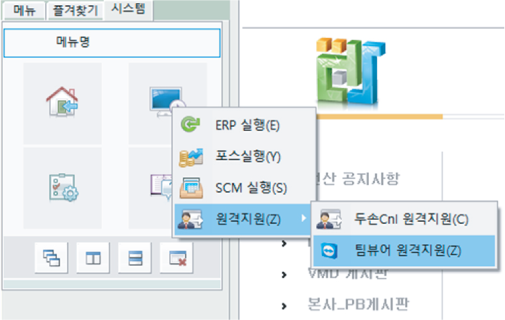 Register the program for each screen in the system framework and manage the use of button. Operate the system by defining the “group” by classification of user work. Manage the program use authority for each “group”. 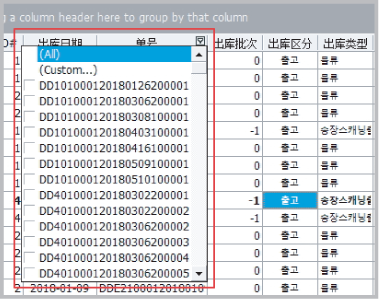 User ID can have multiple groups. Define and store the order of the board of the “home” screen for each “group” defined up to 10. Register the “group” which can use the program for the registered programs. 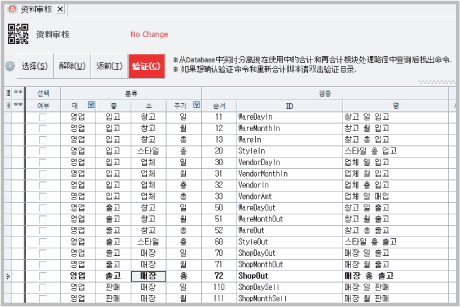 If not described in the dictionary during run time (execution), the Korean caption used in the component is registered in the dictionary. as the dictionary target by using “_LOC” function. 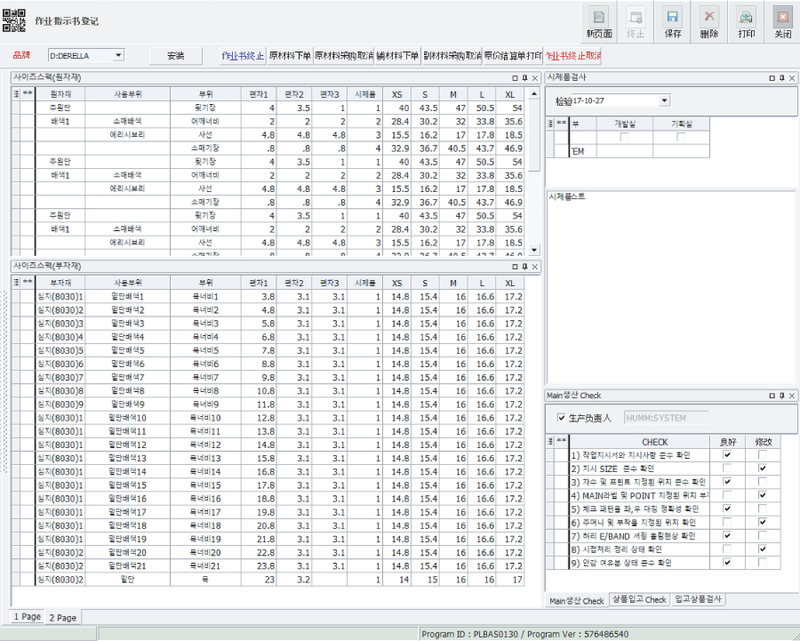 Load the multilanguage mapping data for Korean to the memory in the dictionary when running the program. in the multilanguage mapping data. 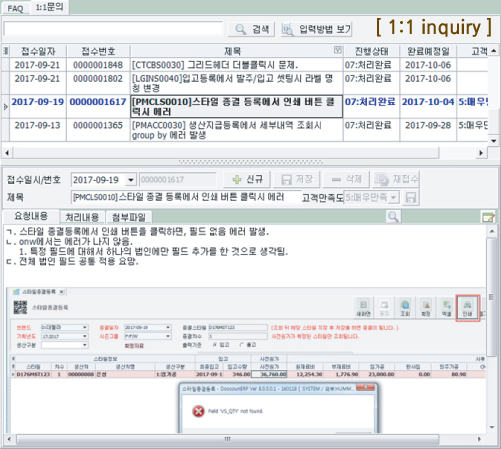 Display with Korean on the screen in the absence of store data. 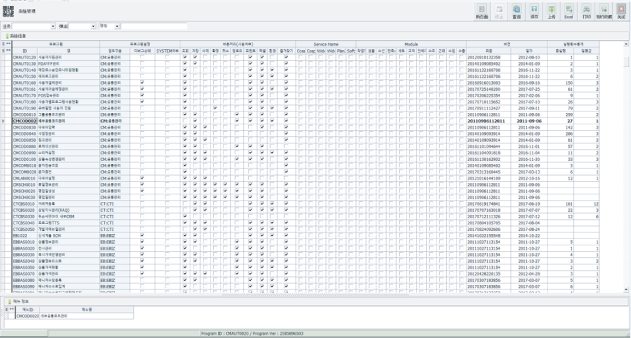 Find the number of wrong row by comparing receiving master, daily, monthly, annual and total aggregation file and data. Introduce the query used in the verification and reaggregation query to user. Input the verification condition(date, style, store and warehouse) by the user. 1. 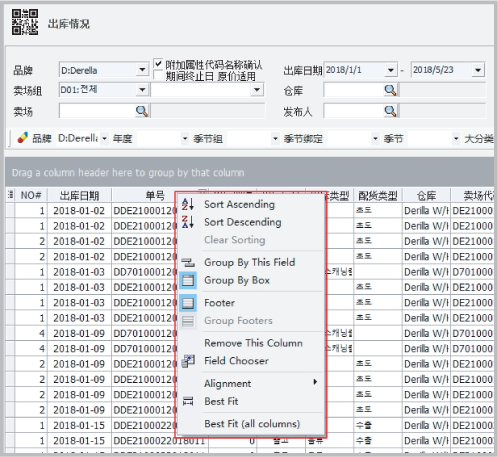 When clicking the column, the column is sorted in the “ascending and descending order” by toggle. 4. When clicking the right button on a column, a grid pop-up menu is called. 5. When pushing “F5“ key, the grid is initialized. 6. When pushing “Ctrl+F“ in the grid, “Find grid contents” pop-up is called. Save the user environment of the grid for each computer running the program. When pushing “F5“ key, the saved user environment is initialized. Create the menu for each user ID in the bookmark menu by using the bookmark button. The registered menu is removed when pushing “Del“ key. 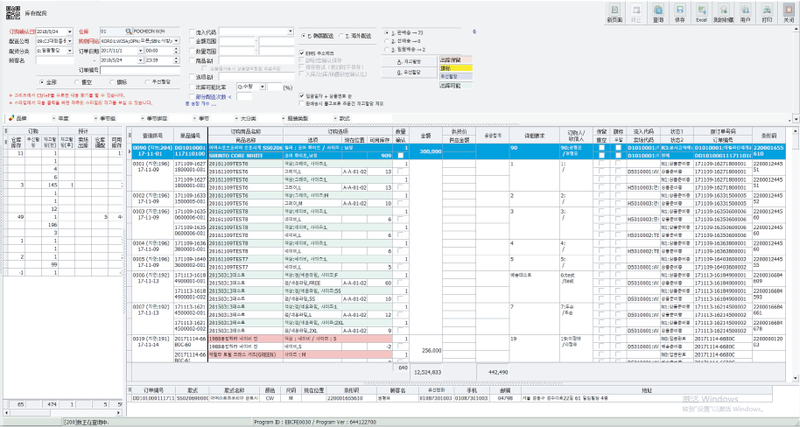 Manage the work request necessary for production for each style. 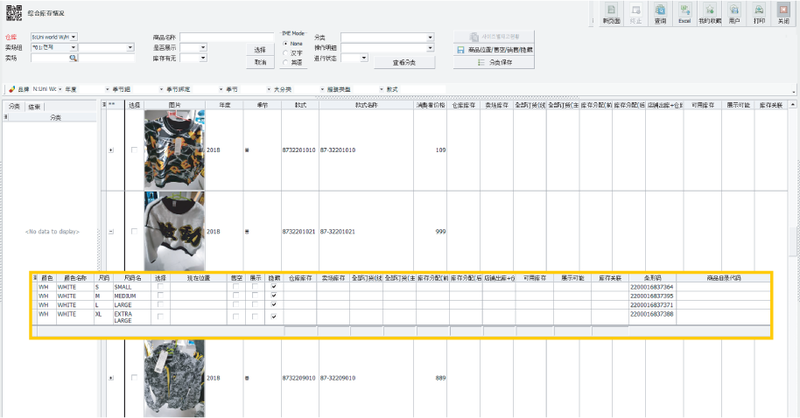 Manage the brand image, planning amount, product image, outline image, remarks, payment line, outsourcing process, actual amount, subsidiary material, label, raw material size, subsidiary material size, prototype inspection date, incoming product inspection date as the management items. 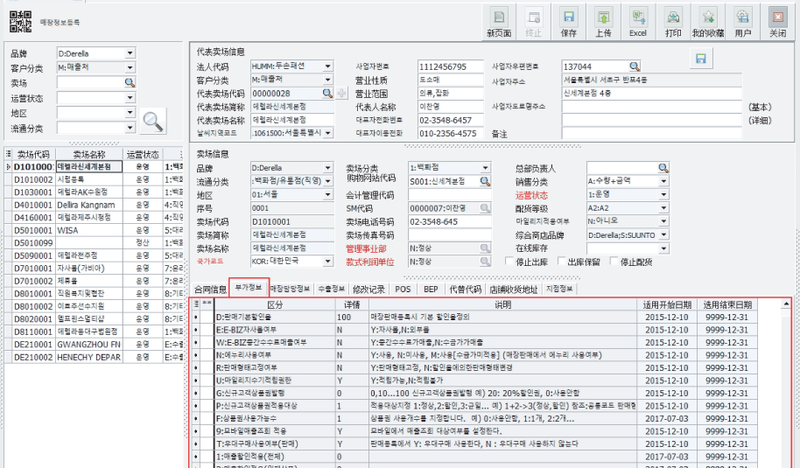 For the registration form of the work order for each company and brand, the user can form and use the registration screen. 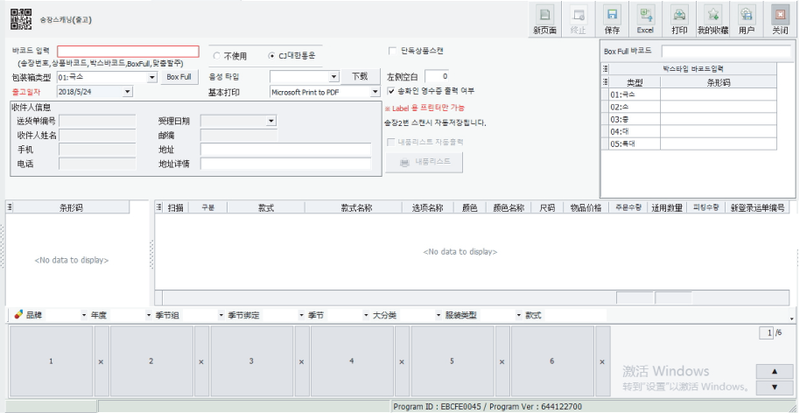 The registration screen can be arranged by drag-and-dock function for the panel of the management input item to meet the user’s requirement by using “setting” button. Authorize the registrant and inquirer by using the authority of user group. You can configure the payment line dynamically and save the payment date and payer ID for each payment step. 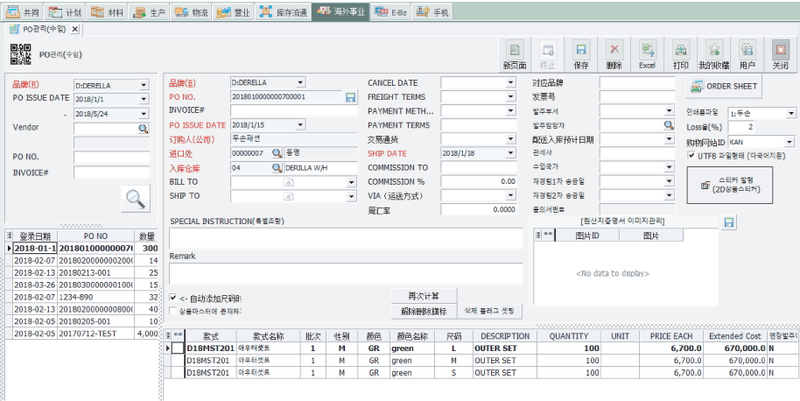 Make the order to the customer by generate the raw material code selected by the “raw material order” button. Print the cost bill by the “print cost bill” button. input after “finish work order” by the work order finish button. by using “print cost bill”. history and sales qty. in period. product image and warehouse inventory of the ordered product on the bottom. Provide the integral input of qty. Input integral confirmed order qty. by using the upload form in CSV file. Optimized to input the confirmed qty. with the keyboard. Exclude when the qty. determined and confirmed as the order prohibition product. Register and manage the store group for each worker ID. 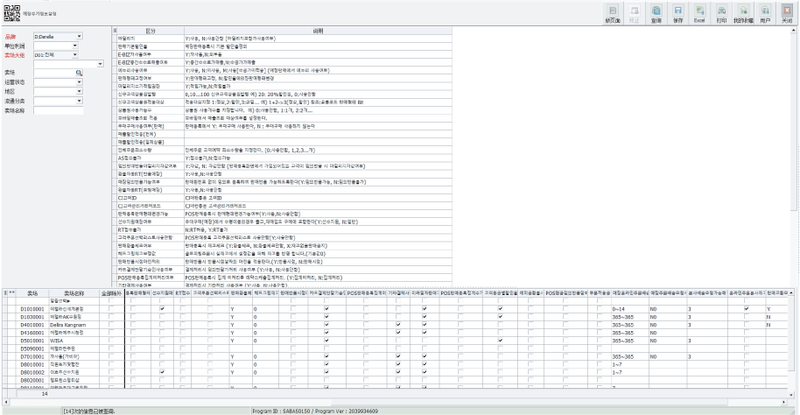 Encode to RFID standard EPC code structure. Do not recycle the generated serial No. 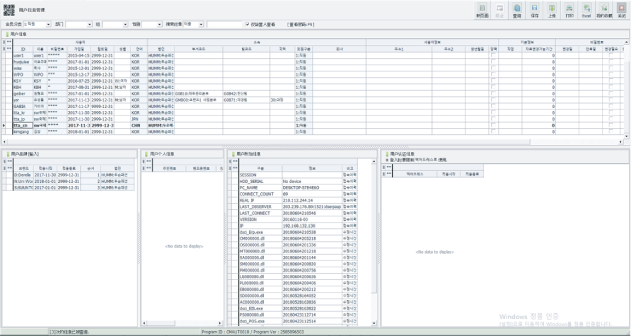 Decode the history encoded in the barcode printer after encoding to generate the decoding history in sam-file. 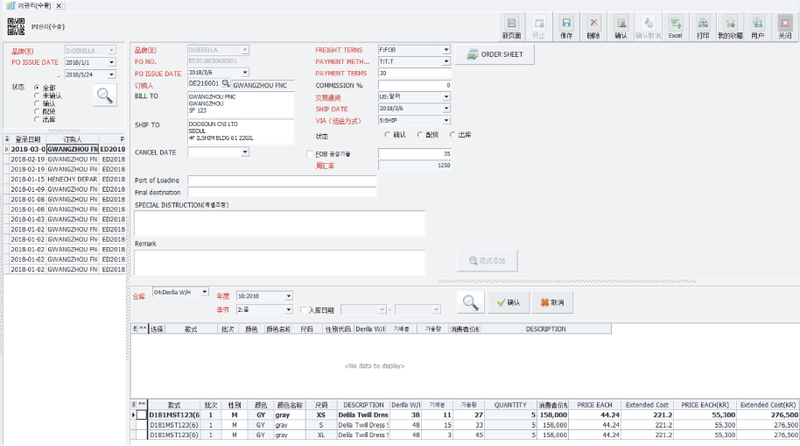 Register and manage the details and cost details of the raw materials, subsidiary materials and outsourcing of each order of the style when the product and production is requested. 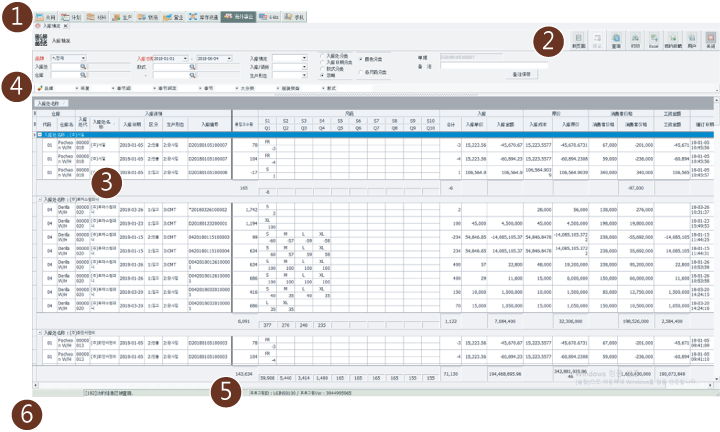 Calculate and manage the pre-estimated cost input to the production. materials, product replacement production qty. and claim history. When completing the production, you can’t additionally warehouse the corresponding style order. 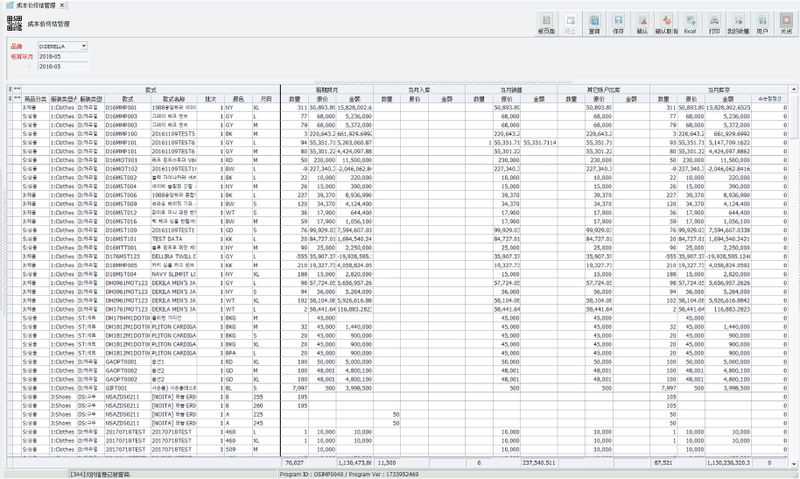 When confirming the post-cost, modify the warehousing master of the corresponding style order. Scan the barcode in the “barcode scanning” box. 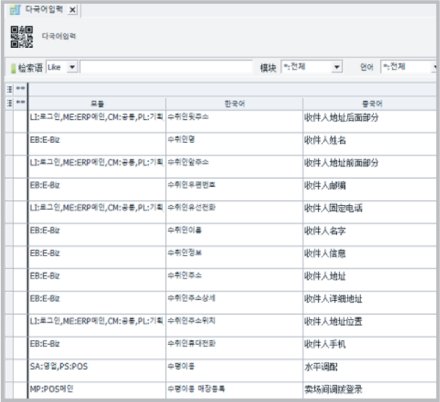 Find the product information based on the scanned barcode and add it to the warehousing registration screen. 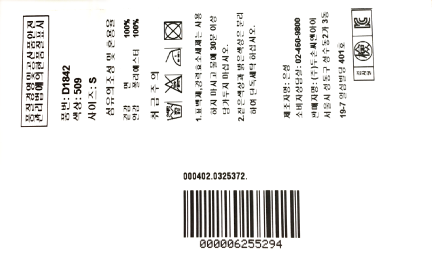 When scanning the same barcode, the corresponding qty. is increased. Register qty. 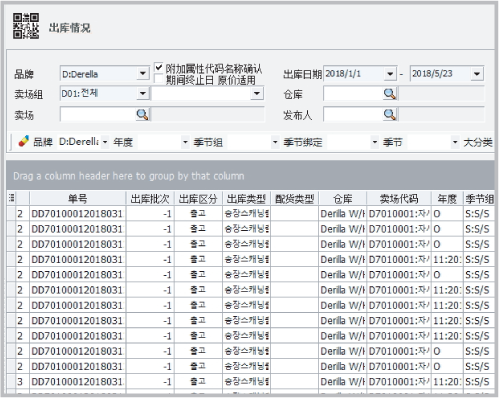 not received referring to the registered data in SCM delivery schedule by using “delivery schedule” option. Search computerized inventory and actual inventory of the warehouse. Aggregate the computerized inventory by aggregate the production warehousing, transfer between warehouses and store outgoing qty. to the warehouse of the group (style/color/size, warehouse, warehouse/year/season style) option of the search condition. Aggregate the transfer inventory to the unconfirmed data of return request of the store and aggregate the actual inventory by computerized inventory + transfer inventory. Aggregate the inventory with reference date and period option. receipt for the period option. Use it for monthly deadline and daily deadline of warehouse. of the corresponding style can be searched. sales environment to the program operation. of application start day and application completion day. If the value is not registered, POS is set to the default. Manage the payment fee for releasing and sales of outsourced store. 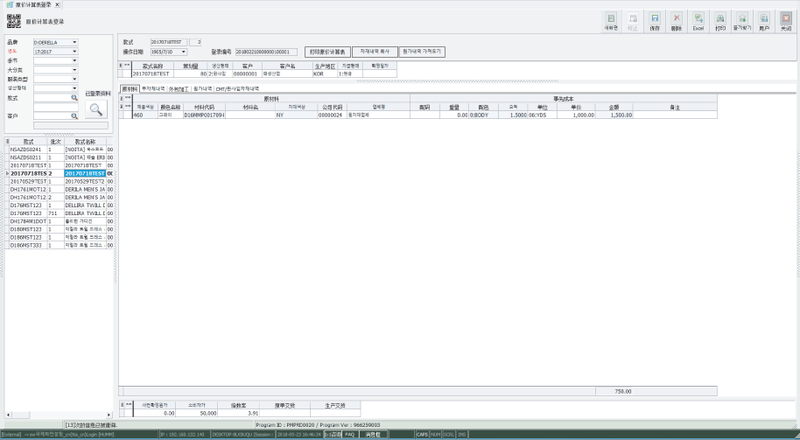 The screen is configured to allow easy check of the fee corresponding to the day under the search condition of the basic date. Register and manage offline/online, purchase type and fee depending on discount rate of product. Set to manage for each store or each store style according to the customer’s operation environment. Manage the fee of various intermediate manger type. 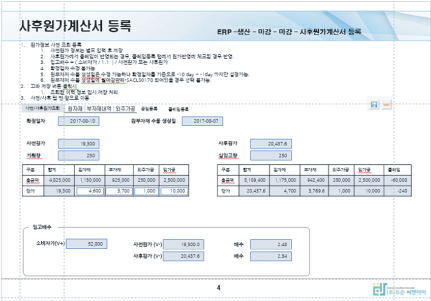 Manage the calculation of base pay on daily basis, on/offline, sales type, and fee for discount rate. Manage the discount price by using event name (remarks). Provide Excel upload function for quick price management and registration. Apply the specific store prior to entire store, specific color code prior to all colors and in order of application start date Desc, sales type Desc and discount rate Desc. Input and manage the wholesale price when managing product price of sales product. the wholesale price by using the margin of the corresponding product in store fee management. Manage the target price by sales store as the business goal, performance goal and notification goal and use it as comparison data in comparison of performance to target. The performance is accumulated by “not paid release” and “not paid sales” according to the payment (sales) of the store for sales. Aggregate sales by the period search option of the sales date and aggregate the sales for the representative store. For the interesting newly opened stores, mark with different colors. Aggregate the inventory qty. and amount of store as the various search options of the user. when searching for the period. Aggregate the unconfirmed horizontal migration outgoing and unconfirmed qty. of product return request. option of settlement year and month. 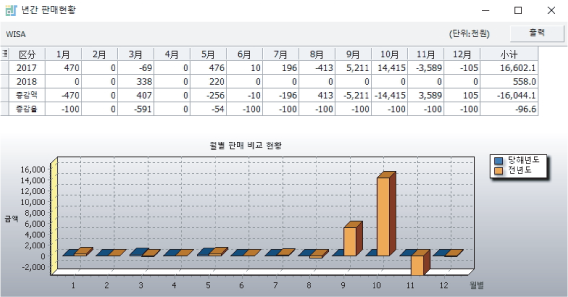 cost column such as outgoing status and sale status. 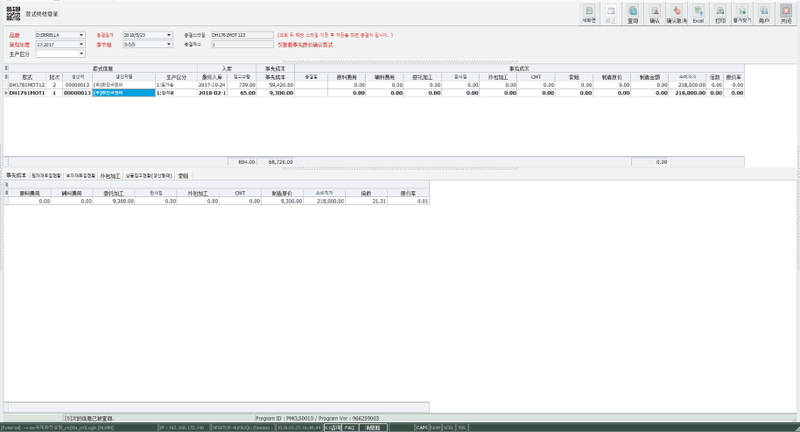 “ending inventory = last month + this period incoming – this period sales – other account”is used to calculate the ending inventory. deducting the deposit from the sold sales. Aggregate account for promotion supplies. 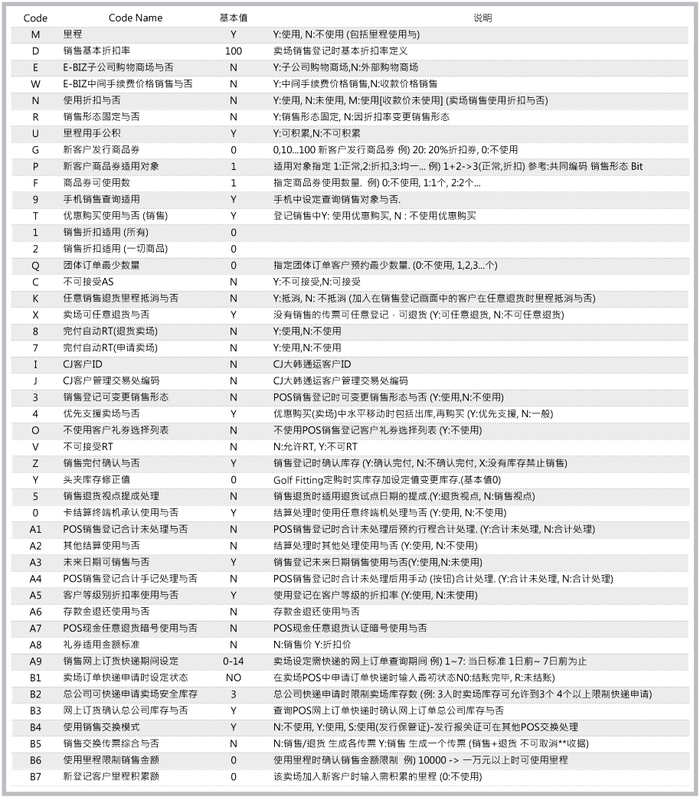 sheet referring to planned order qty. PO division or PO merge. to incoming price by style and color. 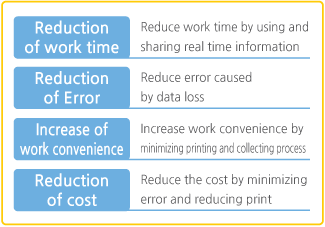 Correct the cost of the existing incoming data registered. PI (Proforma Invoce) based on product master. Search for integrated information for SKY unit of product unit. inventory can be sent by the scheduler as a front mall. allowable inventory by warehouse of selected style. Save and manage the simple remarks for the selected order No. Confirm deliverable order by “inventory allocation”. Apply options of completed delivery, delivery in advance and package delivery. the invoice by “invoice scanning” to Release the product.